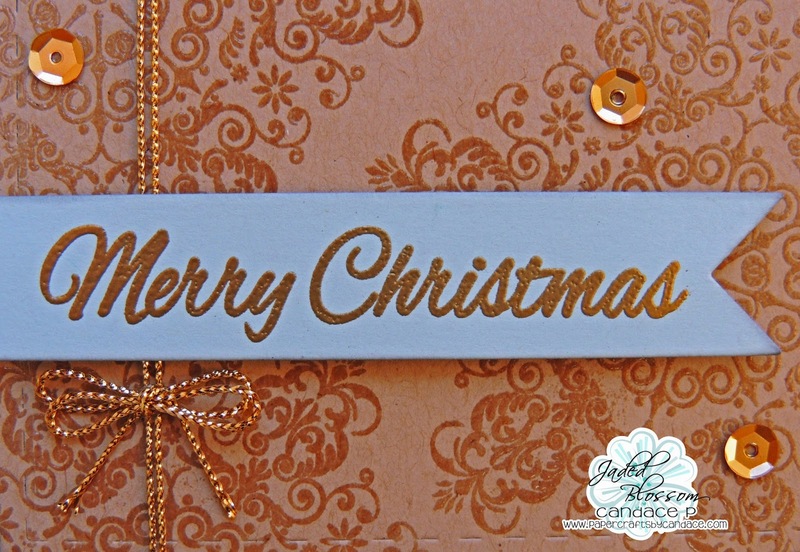 Paper Crafts by Candace: Merry Christmas! 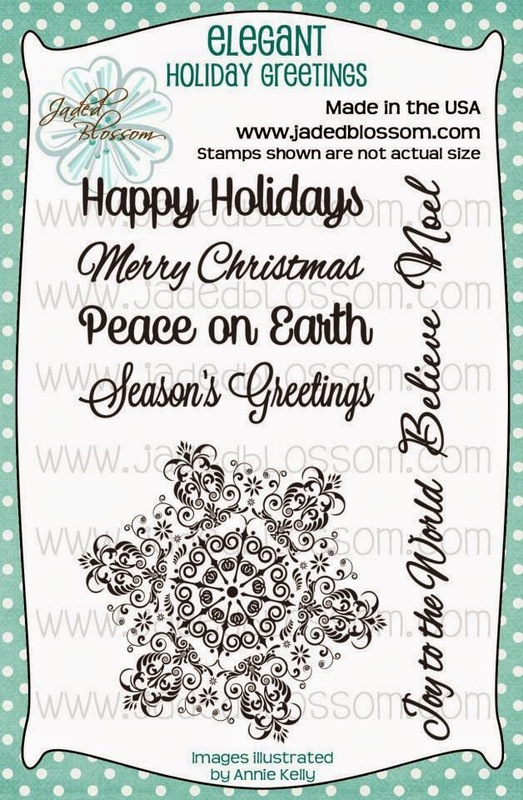 Did you enjoy the Jaded Blossom stamp release week last week?! Soo many amazing stamp sets. One of my favorite is Elegant Holiday Greetings so I couldn't wait to use this Snowflake on a card! And the sentiments are LARGE... like 3 inches WIDE! How perfect is that for cards? Here is what I created with the sentiment and snowflake. 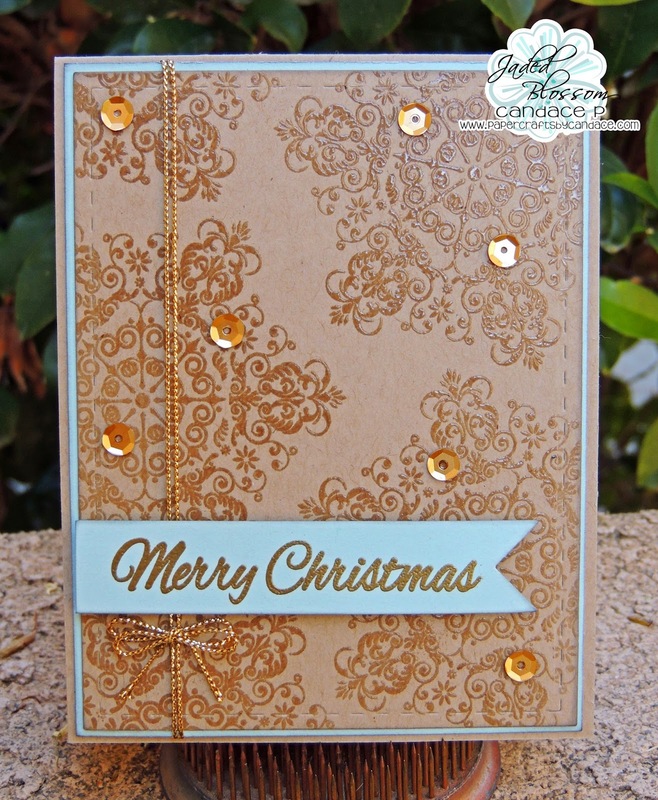 I embossed the snowflake on kraft paper with clear embossing powder. I also used Jaded Blossom's Card Mat dies and Flag Dies and then added some gold metallic string and sequins to finish it. I also embossed the sentiment in gold. WOWZERS!!! Am I on your Christmas Card list?? I hope so! I came over to see what embossing powder you used on the snowflake stamp and was super shocked at what you used. I would have thought antique gold powder for sure.